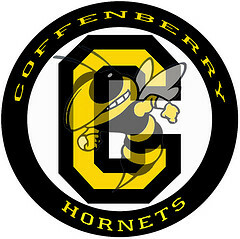 SCIENCE TESTING – Science testing begins today hornets! Remember to do your best and don’t rush it! You are awesome and you know it! SPACE II – Speaking of science… if student are interested in taking Space II in the 4th quarter with Mrs. Lind – please come sign-up at the office TODAY!! END OF 3RD QUARTER – This is the last week of the 3rd quarter – hard to believe, isn’t it?! There will be no school on Friday so that your teachers can work on grades. KIDS IN THE KITCHEN – There are still a few spots left on the Kids in the Kitchen program! Come and get a permission slip and information from Shirley today!! ETS PERMISSION SLIPS – 7th and 8th graders in ETS; don’t forget that your permission slips are DUE to the office by tomorrow for your Uof O field trip on Friday. Don’t forget to get them in! !